Despite its notoriety as a biological weapon, anthrax is a bacterial disease that can be fatal for African wildlife. Hippopotami are a common sight on the Okavango River in Namibia. OVER 100 HIPPOS have died in Namibia in a remote national park in the past week, with the country’s environment minister warning that anthrax could be to blame. so far show that it could be anthrax,” Pohamba Shifeta told AFP. savannah where it kills game, cattle, and sometimes humans. the national park which is one of the country’s foremost tourist attractions. Email “Anthrax is being blamed for the sudden deaths of over 100 hippos in Namibia”. 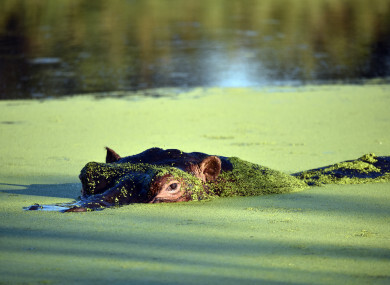 Feedback on “Anthrax is being blamed for the sudden deaths of over 100 hippos in Namibia”.